Billet Specialties Aluminum Valve Covers are guaranteed to make a statement under the hood. Each pair of valve covers are die-cast aluminum and are available in short and tall configurations. Choose from either plain, ball milled, or with various graphic designs. 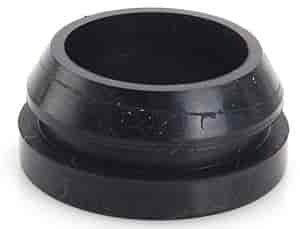 Each valve cover set features a hand polished or black powder coated finish and 1.250 in. breather holes. Each pair of valve covers ship with rubber grommets and metal baffles included.